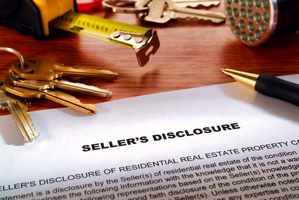 Of course your selling clients need to disclose any issues with their property, but whether or not they should complete a seller disclosure form is a whole other matter, increasingly dividing agents on the form’s supposed benefits. In Saskatoon, the forms are more common, especially as agents are required to at least present them to clients. However, in Ontario, the forms are significantly less common, having drawn quite the controversy a few years ago, mainly surrounding liability. Agents said the form should absolve them of any indiscretions, while buyers argued otherwise. OREA, which publishes the form, released a second “warning” form that made the already confusing form even denser than before. Lionel Wong, an agent in Saskatoon, though, says he prefers his clients fill out the disclosure form. Even if there are discrepancies with the information on the form, Wamsley says the truth always comes out, especially since buyers will almost always get a home inspection. But, because so many buyers opt for a home inspection – either before submitting an offer or as a condition of purchase – Ras-Basista says even buyers don’t ask for the seller property information statement, as the disclosure form is called in Ontario.